Our immune system possesses the innate ability to keep our body in a state of wellbeing. When we become unwell and remain that way there is often something blocking that process. Sometimes this may take the form of our immune system attacking self as in autoimmune disease. An autoimmune disease can be triggered by the food we eat but can also by childhood emotional trauma. Children who have been sexually abused by their parents often develop psychological issues as adults. A coping mechanism of these people often includes self-harm including cutting. Research shows that many of these adults develop autoimmune diseases. Your body keeps the score. Collectively Autoimmune disorders represent the leading cause of death in the Western world. The modern medical approach to the treatment of autoimmune diseases relies on medications, with the aim of suppressing symptoms. Fortunately, researchers have been looking at alternatives and have found specific nutrients that can help autoimmune diseases. In this blog, I outline five such nutrients. 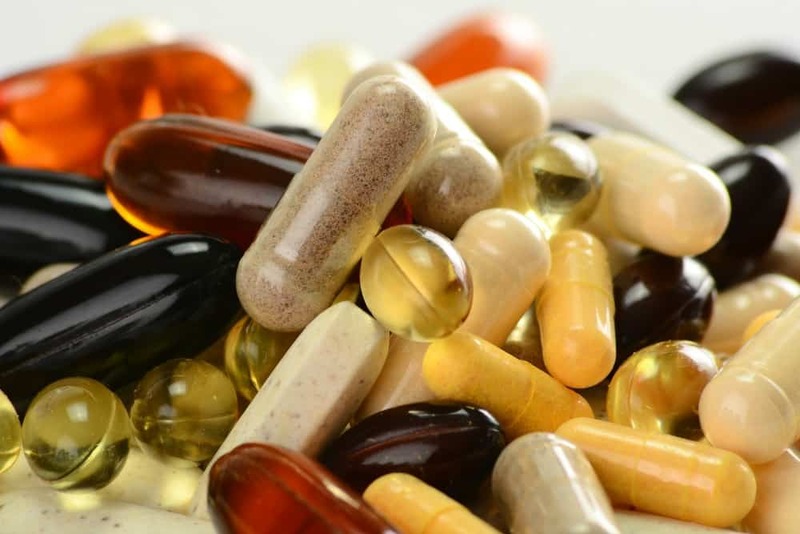 Supplementing with vitamin D has been shown to help various autoimmune conditions. There is also evidence that some people with autoimmune disease may have a vitamin D deficiency even when their blood vitamin D levels are normal. For circulating vitamin D to carry out its functions, it must initially turn on the vitamin D receptor. The issue is that some people with autoimmune disease have a faulty gene that influences the function of the vitamin D receptor, and thus decreases the physiological activity of vitamin D. One research paper showed that some patients with Autoimmune Thyroiditis have such a defect in their vitamin D receptors. For these reasons, I suggest that my clients with autoimmune disease maintain their vitamin D at a high level of 150. Glutathione enables optimal T-regulatory cell function, and consequently, plays a principal part in stabilising the immune system. Not surprisingly, people with autoimmune disease often have reduced levels of glutathione, and increasing glutathione levels in these circumstances can lead to a clinical improvement. There’s little doubt that increasing glutathione levels should be a primary goal of anyone struggling with an immune-related disease. Unfortunately, that’s easier said than done. Common, oral glutathione supplements are often useless. Glutathione is formed of three amino acids: glycine, cysteine, and glutamate. When glutathione is taken by mouth, these amino acids are digested and absorbed separately in the gastrointestinal tract, which means the glutathione molecule is not absorbed wholly into the cells where it’s required. Another strategy is to use glutathione precursors like N-acetyl cysteine to provide the body with the building blocks it needs to make glutathione. But, the ability to make this conversion may be hindered for various reasons in those that are chronically sick. Finally, some doctors like to prescribe glutathione by injection. This works, however, the effects are short-term, and it involves considerable expense and time. Liposomal glutathione: A liposome with of the same material as our cell membranes. When glutathione is in a liposome, it is shielded from digestion by digestive enzymes and passed wholly into the bloodstream, where it can then enter the cell. Research papers have found that liposomal glutathione is effective at increasing glutathione levels in the cells. 16 17 The suggested dose is 400–500 mg per day. S-acetyl glutathione is an orally stable type of glutathione that has been found to increase intracellular glutathione levels. 18 Unlike other forms of glutathione, S-acetyl glutathione is absorbed wholly and can enter the cell, which is where it’s required. 19 The suggested dose is 300 mg twice a day. Curcumin has been shown to benefit autoimmune disease in both animal and human studies. It optimises T-regulatory cell function, decreases inflammation, and defends against oxidative damage. But, as with glutathione, not all curcumin supplements on the market are the same. Curcumin is badly absorbed when taken by mouth; most is excreted without being utilised, and the small amount that is absorbed and broken into forms that are quickly passed from the body through urination. This reduces curcumin’s ability to reach the cells outside of the gastrointestinal tract. Luckily, a new, water-soluble type of curcumin has been invented that surmounts these drawbacks. Researchers suggest that this type may be up to 27 times more bioavailable than conventional curcumin. The recommended dosage is one 600 mg capsule three times daily for the first seven days, followed by one capsule daily after that. Though I favour that you satisfy your EPA and DHA requirement by consuming cold-water, fatty fish, I recognise that’s not always feasible. If you’re using fermented cod liver oil, it does include a modest measure of both EPA and DHA. Some may benefit from supplementary EPA and DHA, which can be acquired by taking one gram per day of a high-quality fish oil. Probiotics and prebiotics improve T-regulatory cell function, which helps to maintain the immune system in balance. Probiotics and prebiotics collectively can defend against adverse alterations to the gut microbiota, which have been associated with heightened susceptibility to autoimmune disease and persistent inflammation.